Steel sharpen steel. Good and good together is better. The FORGE is a woman-centred community of creative development where invited artists can challenge, support and sharpen each other's storytelling skills in any/all expressive disciplines. Participants are offered dramaturgical, editorial, administrative or moral support as needed in a process-driven program. 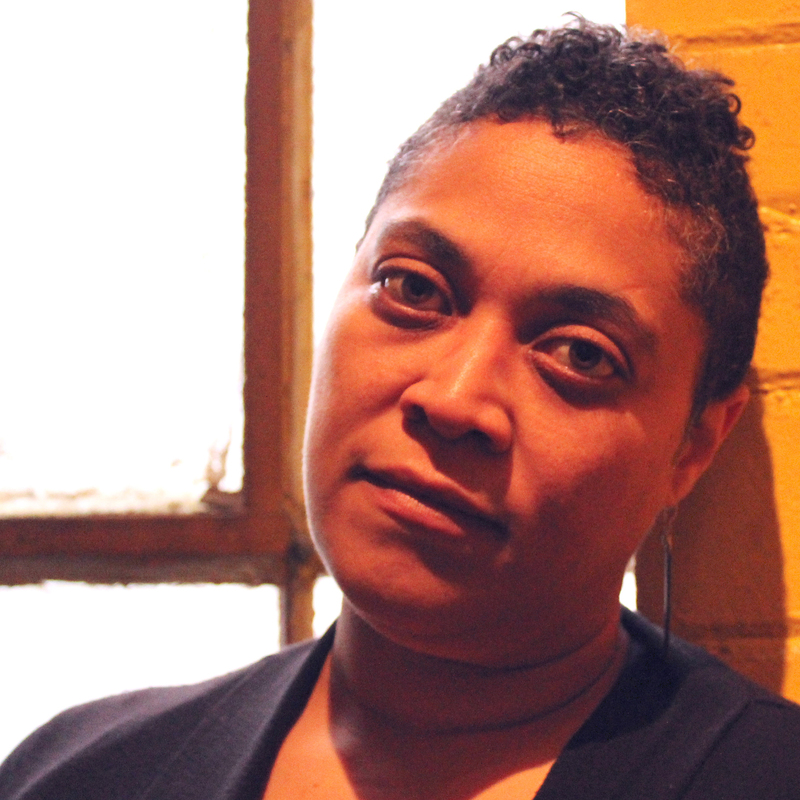 Donna-Michelle St. Bernard aka Belladonna the Blest is an emcee, playwright, administrator, and agitator. Works for the stage include Sound of the Beast, Cake, A Man A Fish, Salome's Clothes and Gas Girls. 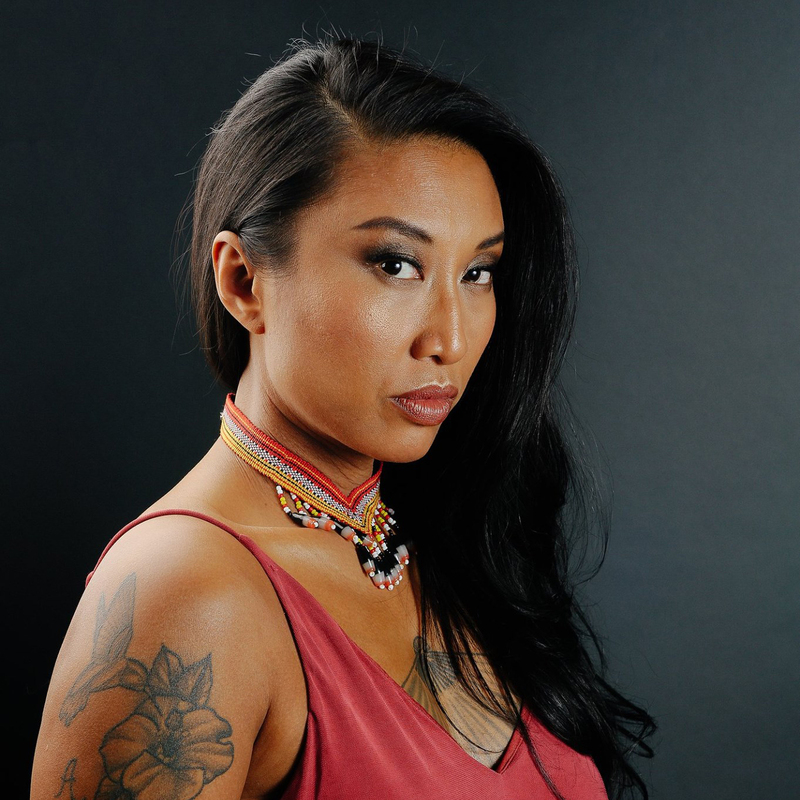 She is a coordinator with the AdHoc Assembly, artistic director of New Harlem Productions and former general manager of Native Earth Performing Arts. 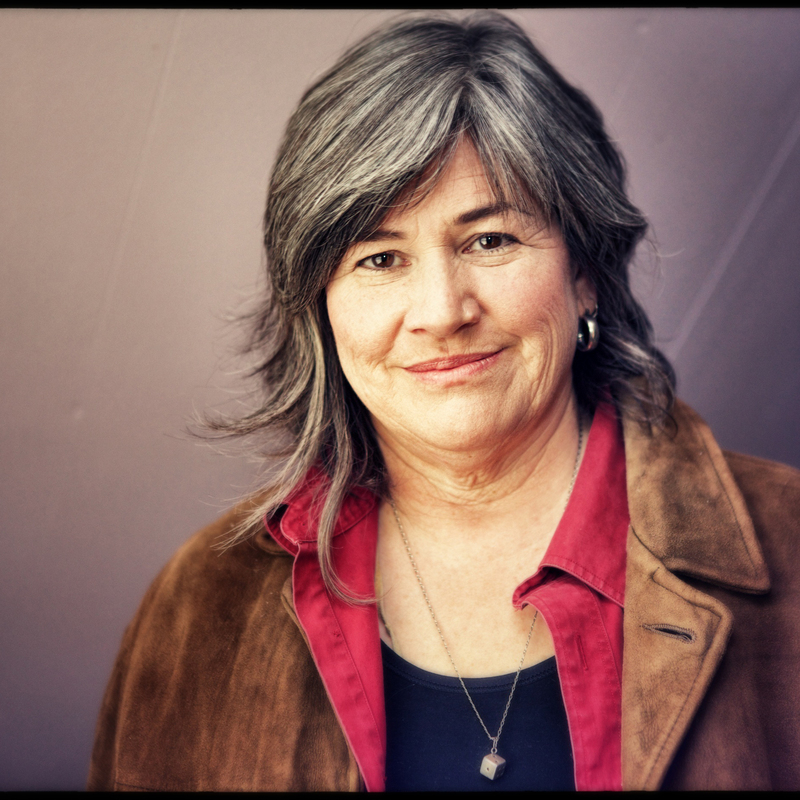 Her work has been recognized with nominations for the Governor General’s Award, Siminovitch Prize, KM Hunter Award, Herman Voaden Award, Enbridge PlayRites Award Dora Mavor Moore Award. She is co-editor with Yvette Nolan of the Playwrights Canada Press anthology Refractions: Solo andRefractions: Scenes, and editor of Indian Act. DM is currently emcee in residence at Theatre Passe Muraille and playwright in residence at lemonTree creations. Catherine Hernandez is the award-winning author of Scarborough (Arsenal Pulp Press). Scarborough won the 2015 Jim Wong-Chu Award, was shortlisted for the Toronto Book Award, the Evergreen Forest of Reading Award, Edmund White Award for Debut Fiction, the Trillium Book Award; and longlisted for Canada Reads 2018. It made the "Best of 2017" list for the Globe and Mail, National Post, Quill and Quire, and CBC Books. Crosshairs is my second novel, which explores the idea of LGBTQ2S and radicalized folks taking arms against white supremacy. I would love to approach the novel dramaturgically alongside DM to incubate the dialogue portions of the novel as well as work the overall narrative structure to ensure maximum impact with this delicate subject matter. This novel explores genocide at the intersections of gender/sexuality/race conflicts and DM's politics will help keep me accountable to my readers. I am also a big believer in public incubation and I know the collective feedback given at gatherings will be beneficial to propelling me from draft to draft. I am 57 years on this planet (as far as I know, I could go back farther, I’m open to the thought). 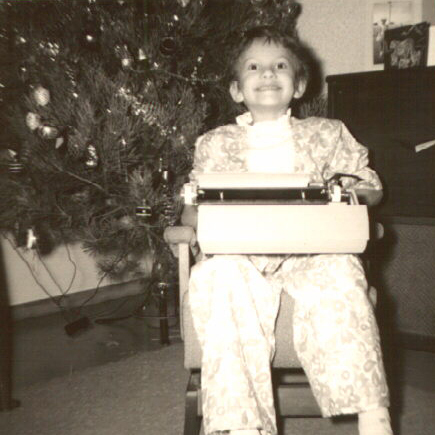 Pale privileged, school privileged, hearing impaired, cis-gendered female, dyke (an old fashioned designation these days), now retired from my day job, always struggled with depression, a writer since I was a wee babe (see photo), and a playwright for about ten year or so. I have several projects that I’d like to move forward. The Sister Op, a play about refugees in 1937 Europe and how getting a single child to safety was compromised by the bureaucracy of racism. Crosstown Bus is a classic “people on a bus” play that is still at its beginning. Folks on a bus are stopped at an intersection and they see, through their windows, an act of violence and cruelty. Alvar. is a musical (maybe) about birds, cows, and gravel pits called This is about a non-binary young scientist who has a summer job trying to save an endangered species in a part of the province in which the habitat for the species is subject to competitive economic uses: gravel pits, cattle ranching, and suddenly, a shooting range. There is, of course, a love story. Yvette Nolan believes that, in this moment in time, theatre is critical to the world. To that end, she seeks to serve stories on the stage, whether writing, dramaturging or directing them. She currently lives in Saskatoon in Treaty 6 territory, but practices all over Turtle Island. The Forge appeals to me because it is both hot and creative. I am interested in having a space to work away from The Gaze, whether that is White, Male or Power-obsessed. 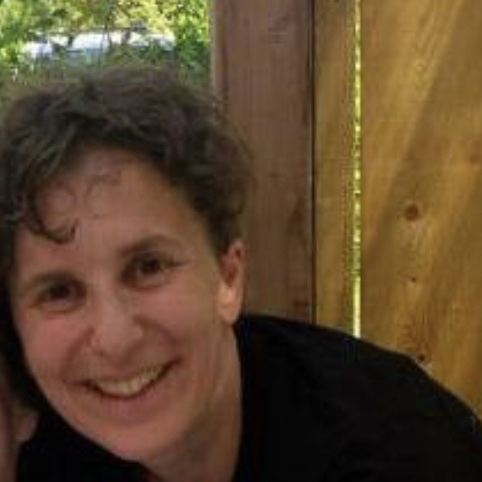 Lois is a playwright, producer, songwriter, poet, accountant, and butch dyke mama. Her play Freda and Jem’s Best of the Week opened the Buddies in Bad Times Theatre’s 2014/15 season, was published by Playwrights Canada Press in 2016 and had a staged reading in San Francisco in May 2018. I would love to work with the Forge on resurrecting a manuscript that deals with a young butch dyke in the suburbs who is so unable to come out that she can only come out through alternate personalities. I wrote this in 2001 through to 2005 and think it can have a place on the stage or perhaps as a novel but I would live to get feedback and direction on this project. It is set in three stages - the “host’s” story, the crushed out on high school teacher’s story and the internal dialogue of the “alters”, the “others”, the “voices”. I would love to be able to break down this big manuscript into manageable and see-able pieces in order to shape, carve and take steel to steel and refine it.